When fellow readers ask me for a unique sci-fi series that won't disappoint, I always recommend L. E. Sterling's True Born trilogy. If you've read my reviews on True Born and True Storm (you can find both here, and here) then you know I've yet to be disappointed by L. E. Sterling's magical way with spinning an intense sci-fi tale. "I reel back, struck again by the change in my sister, who I used to know better than myself. The smiling, carefree Margot, the Margot who used to be boy crazy, who’d skip school with her friends and laugh in the face of danger, is gone." 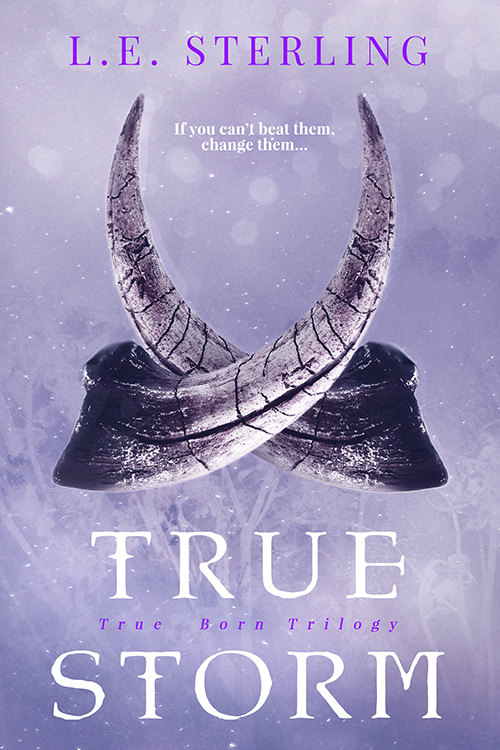 In True Born, the first in the trilogy, readers are introduced to twin sisters, Margot and Lucy, but for the most part the story revolves around Lucy Fox. In a world where the plague has devastated the population, and where being categorized as a splicer, laster, or true born can mean the difference between living a prolonged life, living a devastatingly painful short one or being a pariah, Lucy finds her sister missing. 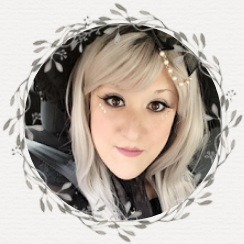 In a desperate plea to find her, Lucy seeks the leader of the True Borns, and upon her adventure, she finds herself stumbling upon conspiracy after conspiracy. In True North, Lucy has found the leader of the True Borns - Nolan North. With him, she finds the confidence and aid to finally discover what happened to her sister and rescue her. However, when Nolan's own agenda gets in the way, Lucy finds that the only means of finally getting her sister back is doing so on her own. In an attempt to rescue Margot, Lucy sets off to Russia with Jared, with whom she shares a magnetic attraction. There, she will face the dire circumstances surrounding Margot's rescue and the true secrets of their bloodline. In True Storm, the epic finale in the True Born Trilogy, Lucy finally has Margot back, but things are falling further and further into despair in Dominion City. Not only is the plague increasing at a devastating pace, but the Watchers have risen from their hiding and are now causing havoc in the city. Furthermore, at the peak of devastation, Lucy makes a horrifying discovery in regards to the mastermind behind the plot against both her and Margot. In this high stakes finale, Lucy must make the decision to sacrifice it all in the hopes of saving all of Dominion City. This trilogy, as a whole, was unbelievably PHENOMENAL! As I mentioned in my True Born review, I'm typically wary of diving into sci-fi titles because they usually don't work well for me. I'm always wary that there's just too much excess information in sci-fi titles, and science that just doesn't make sense other than to further progress the story. With L. E. Sterling's trilogy, however, I had absolutely no problems of that sort. In fact, it was one big happy read from start to finish for every installment. 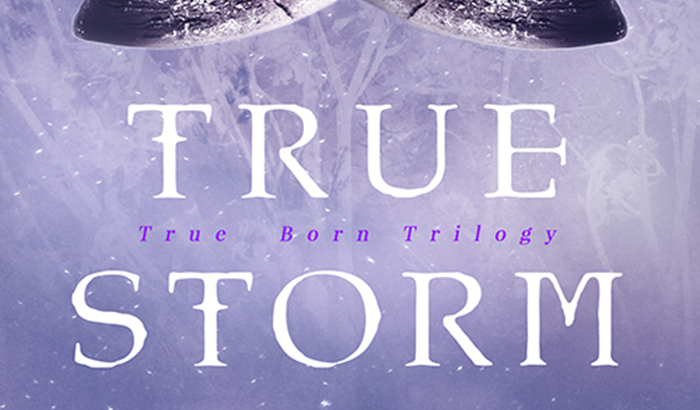 With True Storm, I was extremely eager to see where Lucy and Margot would find themselves. Lucy, now having Margot back, felt completely worthwhile after following along with her rescue mission. Regrettably, after the events in book one and two, Margot will never be quite the same as she once was, and witnessing Lucy's struggle with that was incredibly heartbreaking. Furthermore, as the series came to a close, I found myself desperately hoping that Lucy would get her happy ending, most importantly with one of my favorite characters - Jared. Overall, and without further spoiling what happens in this final installment, True Storm was absolutely amazing. It was the perfect ending to a perfect sci-fi trilogy. L. E. Sterling did not disappoint and I certainly hope to see more similar titles from her in the near future. I highly recommend the entire trilogy to younger readers with a craving for a fierce heroine in a devastating, science fiction setting. Giveaway is for one finished hardcover copy of True Storm by L. E. Sterling, one winner will be selected from all valid entries. To enter, just leave a comment below with your favorite sci-fi book series (adult or young adult). Be sure to include your email address with your comment so I can contact you. Deadline is April 27th, 2018. Best of luck! Thank you to Raincoast Books for the review copy and this incredible giveaway! The Forget Tomorrow Trilogy by Pintip Dunn (Forget Tomorrow, Remember Yesterday, and Seize Today, and the novella Before Tomorrow). Don’t forget to include your email address for contacting. The giveaway is generously sponsored by Raincoast Books, not me personally, and shipping is only available for Canadian residents. I apologize for the inconvenience.